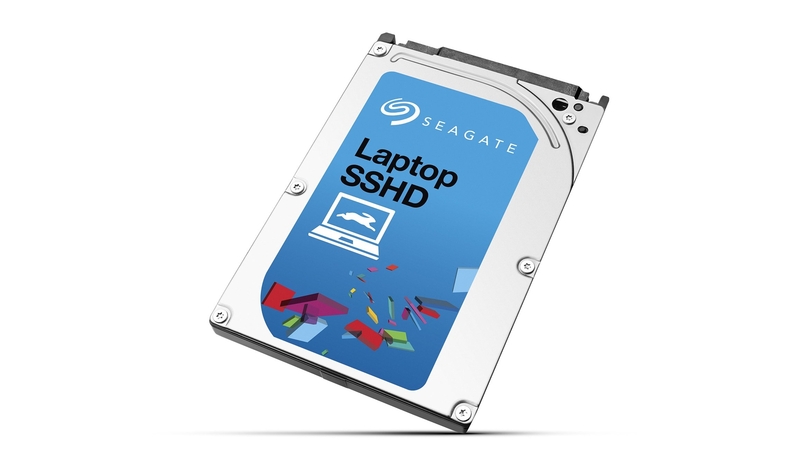 >> Breadcrumb :Home/Audiophile blogs/TechRadar/SSD vs HDD: which is best for your needs? Welcome to our SSD vs HDD guide, where we&apos;ll look at the pros and cons of traditional hard drives (HDD) and solid state drives (SSD) to help you choose which one is the best for your needs. When you’re looking to buy a new computer or laptop, or if you’re researching ways to upgrade your machine, you’ll see a lot of references to both hard drives and SSDs, but which one is best for you? Here we&apos;ll compare the two storage mediums, look at which tasks they excel in, and which ones they’re not so good at. If you’ve got a desktop PC, then you’ll have the luxury of being able to install both types of hard drive at once. If you go down that route, this guide will help you identify the best ways to use those drives to maximize their performance. Before we dive into comparing SSD vs HDD technology, let’s take a quick look at each type of drive. What is a traditional hard disk drive (HDD)? If you have a desktop PC it will most likely have a traditional hard disk drive, on which the operating system, along with any applications you install, and your files and folders, are stored. 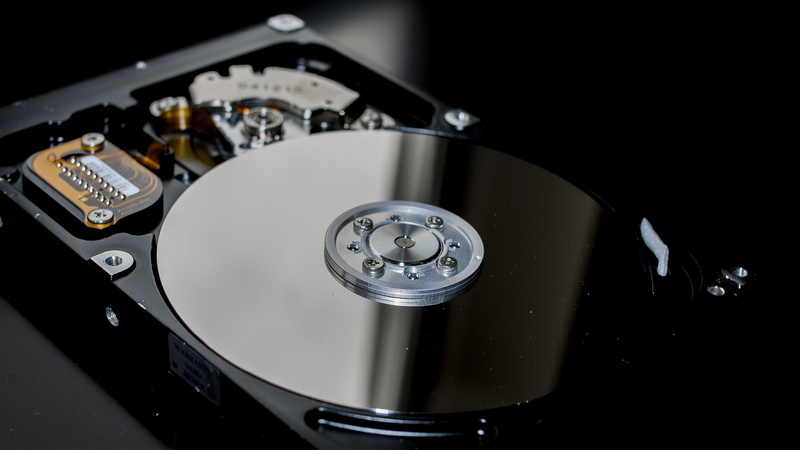 A traditional hard drive contains a circular disc – known as a platter – that stores your data. The disc spins, allowing the read-write arm to read data on the disc (or write data to it) as it passes. The faster the platter spins, the faster the hard drive works, which can impact how quickly your operating system responds, and how long it takes applications installed on the drive to load and open. Older hard drives use an IDE port to connect to the motherboard of a PC, but most modern hard drives use a SATA connection. The most recent version of SATA, SATA III, is found on modern motherboards, and enables the fastest possible data transfers for a HDD. A solid state drive (SSD) is newer storage technology, but it’s still been around for a while now, and if you have a modern laptop, it’s likely that it uses an SSD. 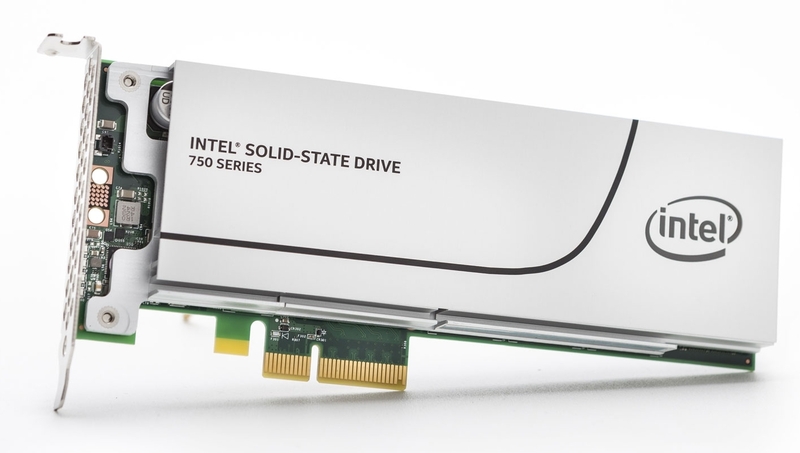 As the name suggests, an SSD – unlike a traditional hard drive – has no moving parts. Instead, it uses NAND flash memory. The more NAND (Negative-AND) memory chips an SSD has, the more storage capacity it has. Modern technology allows SSDs to have more NAND chips than ever, which means SSDs can have capacities similar to HDDs. Many SSDs come with SATA III ports, which means they can be easily installed in place of a HDD, and many also come in the 2.5-inch format that smaller hard drives also come in. However, the maximum data throughput of SATA III is 600MB/s, and while this is fine for HDDs, SDDs are capable of much faster speeds, which means if you have an SSD with a SATA III connection, the drive’s performance is actually being held back by its SATA connection. To avoid that bottleneck, you can get SSDs that have a PCIe connection. These drives slot into the PCIe lane of a motherboard, enabling much faster speeds. However, if you have a smaller motherboard, or you use your PCIe lanes for other devices, such as graphics cards or sound cards, then you may not want an SSD taking up a lane. Another increasingly common connection for SSDs is the M.2. 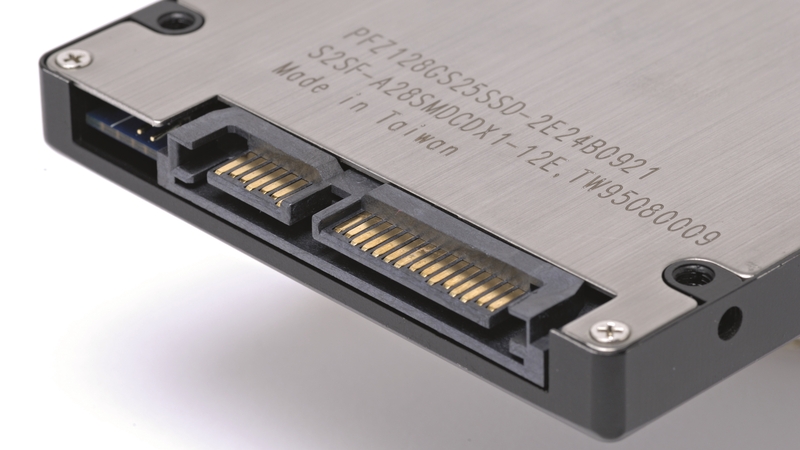 If your laptop uses an SSD, it’s most likely using an M.2 connection, and most modern desktop PCs have motherboards with an M.2 port. M.2 SSDs are typically smaller than other SSDs, which means they can be easily installed without impacting your other components. NVMe (Non-Volatile Memory Express) is the newest SSD technology, and offers incredibly fast data transfer speeds. When you’re choosing between an SSD and HDD, the first big difference you’ll notice at first is the price. SSDs are typically more expensive per gigabyte than traditional hard drives. However, it’s worth noting that some SSDs are more expensive than others. Older SATA III SSDs are cheaper than M2 and PCIe SSDs, and because the technology has been around for a while, certain SATA III SSDs aren’t all that more expensive than a traditional hard drive. Check out our best cheap SSD deals guide for help finding the best price for an SSD. If you want the most capacity for the least amount of money, HDDs are the way to go. Manufacturing processes for traditional HDDs mean they&apos;re now relatively cheap to produce, which makes them more affordable. You can get some large HDDs for very low prices, but if you’re keeping important data on the drives, it’s best to check out user reviews and reports about their reliability. We’ve also got a guide on the best cheap hard drive deals, which can help you to bag a bargain. Closely tied to the price when comparing SSDs and HDDs is the capacities of the drives. Generally, if you’re after a lot of storage space, HDD is the way to go. HDD capacities range from 40GB up to 12TB for commercial hard drives, while there are even larger capacities for enterprise use. These days you can get a 2TB hard drive for an affordable price, which offers you plenty of space. HDDs around the 8TB to 12TB size are primarily used for servers and NAS devices, where you need a lot of space for holding backups. Generally, we’d recommend having several smaller hard drives rather than a single large hard drive. This is because if the drive fails, you may lose all your data – if your data is held across several drives, if one drive fails, you won&apos;t lose everything. So, HDDs are good for storing lots of large files, which makes them good for holding photos, videos and games. In the past SSDs generally weren’t capable of such large capacities, but thanks to advances in technology you can now get SSDs with terabytes of storage. However, this comes at a premium, and large SDDs often come with prohibitively high price tags. If you can, it’s a good idea to go for a smaller SSD, maybe around 160GB–256GB, to hold programs such as your operating system, for which you want to take advantage of the SSD’s higher speed, and then use a HDD to store other files where speed isn’t as important. In the match-up between SSDs vs HDDs, speed is where we really begin to see a difference. Solid state drives have always been much faster than traditional hard drives, but with SSD technology advancing all the time, and the SATA III bottleneck removed, the difference is now starker than ever. First, let’s look at HDD speeds. Because these drives using a spinning platter, the speed of the drive is largely dependent on the RPM (revolutions per minute) the drive is capable of – and the higher the RPM, the faster the drive can perform. 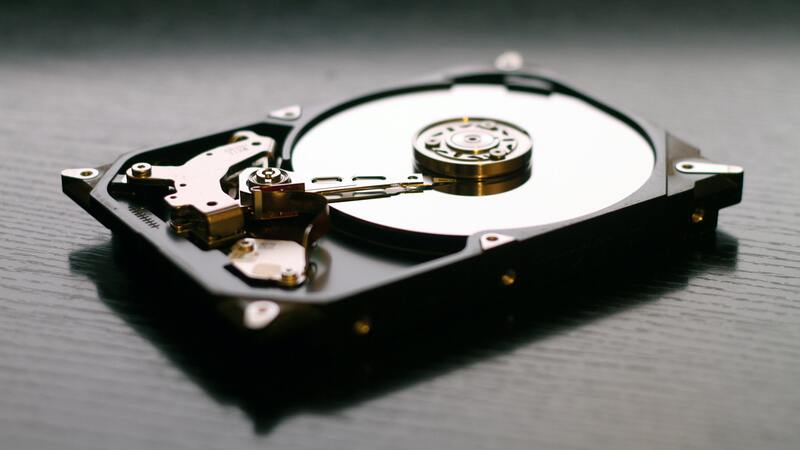 Many budget hard drives have an RPM of 5,400 RPM, which is the slowest speed modern hard drives are capable of – you’re better off going for a drive that can achieve 7,200 RPM, which is what most modern HDDs will be rated at. You can get higher-RPM drives, up to 10,000 RPM and even higher, but these are rarer and more expensive. SSD and HDD speeds are measured in MB/s (megabytes per second) for both read (how fast the drive can read data) and write (how fast data can be written to the drive). There are other factors in play that determine HDD speeds, such as capacity, but in general a SATA III hard drive at 5,400 RPM will have speeds of around 100MB/s, while a 7,200 RPM will be 150MB/s. Because SSDs don’t have any moving parts their speeds aren’t dependent on RPMs, but on the technology – and the data connection – of the drive. 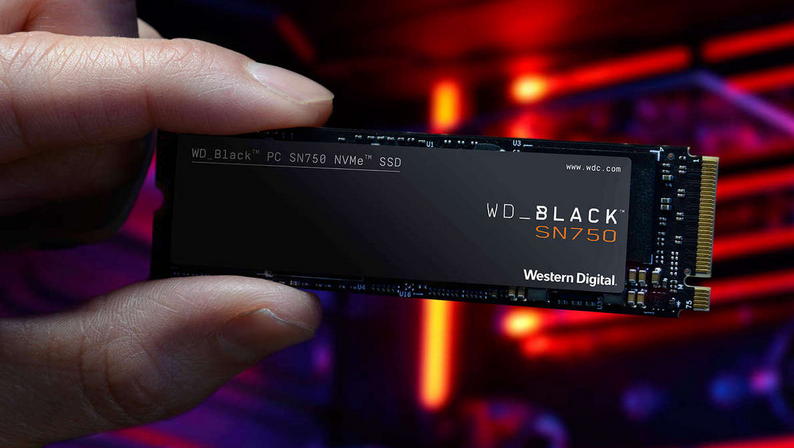 A solid state drive with a SATA III connection should achieve around 550MB/s read and 520MB/s write speeds, though some will be faster – but will max out at 600MB/s. So, even with a SATA III connection, which limits the speed of SSDs, you’re getting around four times the speed of traditional hard drives. However, if you use one of the better-optimized connections for SSDs, the speed difference really opens up. Average speeds for PCIe/M.2 SSDs range from around 1.2GB/s up to around 1.4GB/s – and if you’ve got the budget there are even some that can reach 2.2GB/s. So, you’re looking at around 10 times the speed if you go for one of these SSDs. When it comes to speed and performance, SSDs are definitely the way to go. 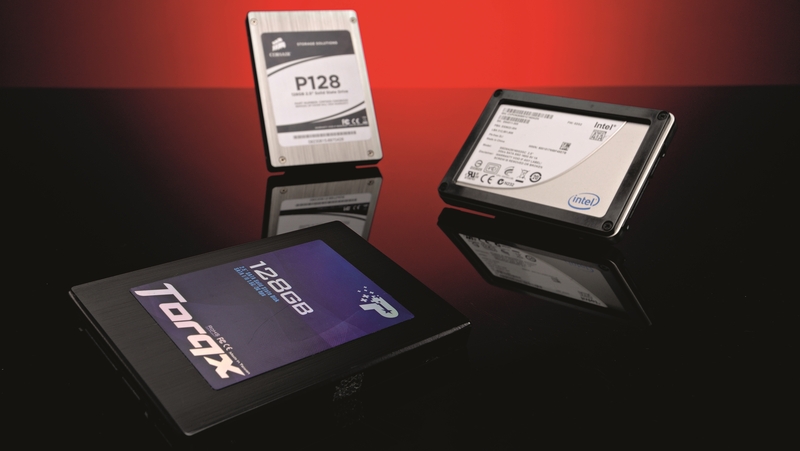 There are other things you should consider when thinking about whether to buy an SSD or HDD. For example, because SSDs don’t have any moving parts they&apos;re more robust, which makes them a better choice for laptops and other mobile devices. An SSD can also use less power than a HDD, which means laptops may benefit from longer battery lives when using an SSD – although this will depend on the kind of SSD you use, and what you use it for. So is an SSD or a HDD best for you? While SSDs are faster, more robust and more power-efficient, HDDs are more affordable – especially when it comes to larger capacities. As we mentioned earlier, if you have the option then it may be worth getting a smaller SSD for your operating system and apps, along with a HDD to store your files. There are also hybrid drives, known as SSHDs, which offer the best of both worlds, with the speeds of SSDs and the capacities of HDDs in a single drive, and which are worth considering if you don’t have the space in your device for multiple hard drives. By Matt Hanson| 2019-02-08T17:35:32+00:00	February 8th, 2019|Categories: TechRadar|Comments Off on SSD vs HDD: which is best for your needs?